This is episode #378, and my guests today are Rick Allen and TJ Osterman from Paperstac. 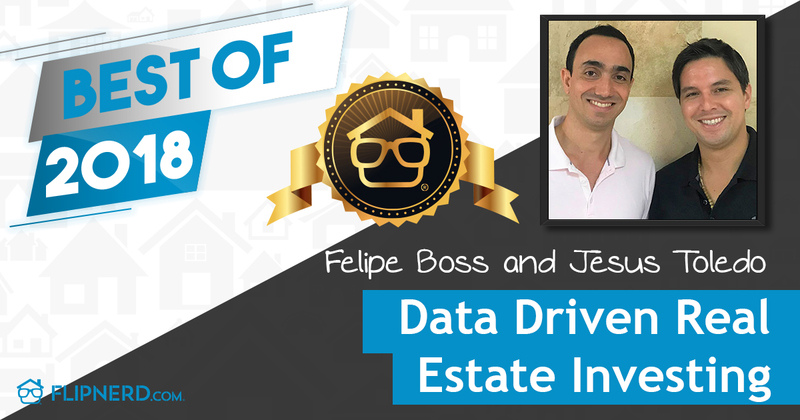 Rick and TJ are note investors, but before they started in notes, they were wholesalers focused on wholesaling properties. As the market started to rebound and become more competitive, they fell into the note space, and have never looked back. Today we talk about why they invest in notes, instead of properties directly, and what the pros and cons are between traditional property investing and note investing. As you’ll see, they’re not as different as you might think. Let’s get started demystifying the world of note investing. Please help me welcome Rick and TJ to the show. Meet Rick Allen and TJ Osterman, Non-Performing Note Investors. Learn about the benefits of investing in notes. Join the conversation about how to get started in non-performing note investing. Mike:This is the FlipNerd.com Expert Real Estate Investing Show, the show for real estate investors, whether you’re a veteran or brand new. I’m your host, Mike Hambright. And each week, I bring you a new expert guest that will share their knowledge and lessons with you. If you’re excited about real estate investing, believe in personal responsibility, and taking control of your life and financial destiny, you’re in the right place. This is episode number 378. And my guests today are Rick Allen and TJ Osterman from Paperstac. Now, Rick and TJ are note investors, but before they started in notes, they were wholesalers focused on wholesaling properties. As the market started to rebound and become more competitive, they fell into the note space and have never looked back. Today we talk about why they invested in notes instead of properties directly, and what the pros and cons are between traditional property investing and note investing. As you’ll see, they’re really not as different as you might think. Let’s get started demystifying the world of note investing. Please help me welcome Rick and TJ to the show. Hey, Rick and TJ, welcome to the show. Rick:Thank you. Thank you. I appreciate it, Mike. TJ:Thank, Mike. Yeah, I’m happy to be here. Mike:Yeah. I’m excited to talk to you guys because, you know, a lot of people assume I have a ton of real estate investing experience, which I’ve bought hundreds of houses. I know a lot of people, but I’m always excited to talk about different ways to invest that I don’t even do. And so I always have to kind of restrain myself a little bit to not get shiny object syndrome and not jump into something totally different like you guys did, but I know notes are really a pretty incredible opportunity after folks learn more about it. Rick:Yes, they definitely are. Just at its core, mortgage notes, we made the jump in there. And it was a shiny object for us, you know. We made that pivot, but it’s been very lucrative for us so far, you know. TJ:Yeah. I mean, we made that pivot because we saw a lack of inventory coming where we’re from. We were coming from that background of buy and selling homes. And the inventory in ’08 was starting to become very thin. And we decided, “Wow. In order to support our families, what are going to do?” I mean, in Texas, it was a little bit different of a story, as we were first talking about, but in Florida, man, it really got hit hard. And so we were moving from 30 houses a month down to like, you know. Rick:Twelve. Yeah, we started . . .
Rick:Losing inventory to the hedge funds and kind of stumbled into mortgage notes. And we’ve really never looked back. Mike:Yeah. That’s awesome. Hey, before you get started too much on notes. Why don’t you tell us your background? And you just alluded to a little bit of it, but kind of tell us how you got started and then start to talk a little bit about how you transitioned into notes. Rick:Sure. Well, my name is Rick Allen. I’ve been in Orlando, Florida for most of my life. I’m 37. So for 30 years, I’ve been here. So I say I’m a native Floridian, at best. I started investing in real estate in 2005. I joined a nationwide wholesale firm and sort of cut my teeth in the real estate business learning to evaluate properties. And in 2006 met TJ, who came to work for the firm. And we worked together at this firm until about 2008, in which time we decided it was time to go into business for ourselves and we started our own shop. We had two offices, about 45 employees, and we flipped about 400 houses in about three years. And then in 2011, we decided to exit the world of having employees and went on our own and in 2012 started to do mortgage notes. You know, an REO agent called us. We jumped in and never looked back. And now we run a small fund of about $6 million and are currently in the middle of doing a Reg A Plus offering. TJ:Yeah, I’m glad you remember all those dates because I’m horrible with those timelines, 2012, no, I’m trying to recount, “Okay. Yeah, that’s a . . .” I’m TJ Osterman. I’m originally Chicago, Illinois. I’m 40 years old now. So I’ve been here, geez, what, 15 years I think it is? Yeah, about 15 years. Originally, you know, started cutting my teeth. I sold magazine subscriptions door to door when I was 18 traveling the country. And then I decided I wanted to, you know, become a teaching professional in golf, got that into. And that’s kind of what got me down to Florida. Then I found my first house. I flipped that, made a bunch of money in it, and said, “I like real estate.” So I got into the real estate game. And it worked out really, really well and started working with Rick at our old company and where we sourced a lot of hard money for investors, hooked the investors up with the hard money, and then hooked the houses up with the inventory. And like Rick said, he put it all together already. We started our own shop and did really, really well, but then, you know, the inventory started lacking a lot. And so we decided to sell off our portion of the company and start on our way to mortgage notes. Mike:That’s awesome. That’s awesome. So tell us a little bit about what notes are. When people hear it, they’re surprised. Sometimes that word, that phrase, like confuses people, that it’s essentially just a mortgage or a loan against a property, but maybe just tell us a little bit more about what a note is and what the transition looked like from going to being an investor that’s wholesaling houses to effectively a note investor. Rick:Go ahead. Jump on it. TJ:Let’s see, that transition. Well, let’s first talk about like the mortgage note. TJ:The note is just the debt owed on the house. So you’re essentially buying that debt. So if there’s . . . You know, when you take out that mortgage on a house, you’re taking out a loan. And so, you know, that note is let’s say $150,000. It’s financed by let’s say 70% of value, let’s just say. So you’re buying that debt of $150,000. And what we do is we buy that generally nonperforming debt at a discount. So at a high level, that’s what a note is. It’s that debt that you see. And then the mortgage . . .
Rick:Yeah. A lot of times, the banks will hold this. You know, whenever you get a mortgage, it’s from a bank, maybe like Bank of America or Chase. And if somebody happens to have, you know, a string of bad luck, they stop making their payments, maybe something like 2008 when everybody stopped making their payments or a lot of people did, they package all that stuff up and sell it off. And that’s sort of how it hits the streets. They sell it to a big fund who then will break that up and sell it to some smaller funds. And then we would come in. TJ:Yeah. And then the note basically just has the terms on it. That’s what the terms of what the buyer is agreeing to pay. At a high super high level, that’s what it is, you know. And then that mortgage wraps it all around together. And that’s what ties you to that collateral, which is the house. So it’s a secured investment, you know. I’m not diving too much into that because it gets a little boring, but that’s kind of what it is. Rick:Yeah, we knew the collateral very well. It was in our back yard. And it was in an area that we’d been buying and selling houses in for years. And the agent called and said, “Hey, I’ve got this house or this note. If you’re interested, just high numbers, it was $90,000 of debt that we picked up for $8,400.” It was a free duplex. And so we . . .
TJ:You don’t have to run your numbers much on that. I mean, the house at $8,400, I mean, what could we have sold it for? Well, what was the [inaudible 00:07:57]? Rick:Yeah, the stuff was selling an area we knew for like $19,000 to $20,000. And we wound up getting a deed in lieu on it, and listing on the market it actually sold for $38,000 and we did it all in about a little under 20 days from the time we first put out the money till we got the money back in from selling it. So we were, needless to say, hook, line, and sinker in the business. TJ:And he just said a term that probably a lot of people that aren’t in notes or the mortgage industry don’t know, which is “deed in lieu.” So when you get a house back, you can either go through foreclosure or you can reach out to the borrower and say, “Look. Give us your deed in lieu of foreclosure. We’ll give you some money and give us the deed,” so we don’t have to deal with the foreclosure process. And some people [inaudible 0008:34]. Mike:Right, because you might pay them to leave or cash for keys or something like that. “Let’s not go through the foreclosure process. Let’s not get that on your record. Just sign the property back over to us.” And let’s avoid all that, right? Mike:Yeah. Yeah. So that’s cool. So specifically, you’re buying notes. And you’re doing them. And you’re generally just buying them locally. So in the event that you have to take the house back, you’re comfortable because you’ve been investing in your market for a long time. So you’re getting houses in your market, worst case scenario. I know you guys try to get them performing again, right, but . . .
Rick:Yes. Yeah. Yeah, normally, we started out buying locally and now we buy nationwide. I think that’s the natural progression I’ve seen when somebody goes from buying houses to diversifying and buying mortgage notes is you start looking in your backyard because we always want to see the investment that we can go up and touch and feel and know that it’s there. And then once you get into the paper side of the business, after you’re there for a while, you’ll learn that, well, I can actually go leverage other people to touch it and feel it. And you start, you know, spiraling out. Mike:Yep. So talk a little bit about like how this occurs. So obviously a bank, any of the notes that they’re selling to you . . . And by the way, you know, for people that . . . And I’m not an expert, so correct me if I say something wrong here for sure, is that it’s very common for these notes to be sold multiple times to different investors, different banks, right? So you’re not doing anything that big banks haven’t been doing for a long time, but it’s just investors like us can play in this space. And more and more are playing in this space, right, but the banks, technically, they could go through the whole foreclosure process and foreclose or they could just sell the nonperforming note to somebody like you or me or any other investor. And they say, “Look. I just don’t want to deal with all that. Just take the note and you guys deal with it,” right? Are you looking to change your life through real estate investing? If you are interested in either getting started or taking your business to the next level, please check out FlipNerd’s private program at theinvestormachine.com. This is the most robust real estate investor coaching, networking, and mastermind on the planet and designed for your success. If you’re ready to roll up your sleeves, ready to take personal responsibility for your own success, and ready to dive into a world-class instructional coaching program that provides you step-by-step instructions to help you achieve financial freedom, then you should apply today. Spaces are limited. And candidates are only considered after an application and interview process. Our 12-month investor program is unparalleled. Think you might be a fit? Learn more today at theinvestormachine.com. Take the note and you guys deal with it, right? TJ:Yeah. I mean, at a high level, let’s just say this is what happens. It’s like a huge funnel. At the top, you know, they’ll be trading hundreds. And trading, I mean buying and selling notes. So they’re selling notes. These huge funds will buy hundreds of thousands of mortgages. They’ll work them for a while. And then the ones that give them a little bit of problems, they’ll generally, you know, sell them off to a mid-size fund. Then that mid-sized fund do that same exact thing and then sell them down to like a smaller fund, smaller funds to micro-funds. And we’re kind of in that micro-fund type of atmosphere where we’re buying they call it the tails of the tape, the real problem children, the Island of the Misfit Toy mortgages. The problem is that people fail to realize that there are families and there are real-life situations on the end of each one of these mortgage notes. So what happens that we’re seeing a lot is these people will start . . . Let’s say the big banks start the loss mitigation process with the borrower. Well, they’re running through it. They’re doing all their paperwork. They sell the note. Now that next person doesn’t honor what that other person said. Now this borrower’s like, “I’m confused. What’s going on?” And this can go for five, six, seven, eight years where these people don’t know what’s going on. They’re not paying their mortgage because first, they don’t even know where to pay the mortgage to. Property taxes aren’t getting paid. So without diving too far into that, that’s how that works. Rick:If you were to attach a number to that, would you say like $500 million is what you’re going to need to buy from a bank or maybe $100 million, at the very least? And then when that gets broken off, it gets broken off into say $25 to $50 million chunks? And then when it gets broken off down to the smaller investor, you can maybe do a one-off? TJ: Yeah. And let’s face it. The amount of money that we burn, let’s just say, on one mortgage note that has a very small margin, we can operate on tighter margins because we don’t have a giant . . . You know, it fits our business model, right, the smaller investor. These big banks, if the underlying collateral’s $35,000, the man hours that it takes sometimes to get a $35,000 house worth to re-perform is a long time. It’s just not part of their business model. And to tell you the truth, they didn’t have, the institutions didn’t have, the system put in place to handle what happened in ’08. They got bombarded with a lot of mortgage notes that were non-performing going through foreclosure. And they’re like, “Our system wasn’t meant for this.” So really what it is, is what’s going on right now is the carnage of 2008. That’s where the opportunity is in this space, is the opportunity as it goes from the carnage that now, we’re just getting to start to clean up these small-balance mortgage notes. Mike:Right. And truthfully, the opportunity for you guys or other investors that are interested in doing what we’re going to talk about today, is you kind of mentioned you’re getting the tailings, like the worst of the worst in terms of headache to process maybe, is you’re able to get those for essentially, you know, pennies on the dollar, right? Mike:They’re the worst-performing of the worst-performing, right? Rick:They’re the worst-performing and typically just the lower-priced band asset stuff underneath, that’s worth at least $175,000, they have less margin for error. And so the big banks who do have the giant payrolls, they sell those off. The hedge funds sell those off. And they’re really focused on the higher-end stuff. So there’s a real niche market. They’re not all big problems. There’s a lot of stuff in there that’s like some really, really good-quality assets. Mike:Oh, I’m sure there are, yeah. Rick:That just slip right through the cracks. Mike:Right, right. I get it. Awesome. Awesome. Well, let’s talk a little bit about why you guys did it. So I know you were kind of as the market started to improve, like it’s become harder and harder to do deals. And you guys saw this as a way to say, “Hey, notes are . . .” You probably would agree with this. Like right now in real estate investing, if you’re a wholesaler, fix and flip or whatever, it’s harder than it’s been in the 10 years that I’ve been in this to find deals right now. It’s gotten more competitive, but the note space, there’s still not nearly as much competition. Would you guys agree with that? Rick:Yeah, I think that’s a very accurate statement. TJ:Yeah, I mean, all the stuff for the last about six years we’ve been doing the notes, we’ve been going to conferences in the mortgage note space. And we’re starting to see an uptick in the amount of people that are starting to . . . And to tell you the truth, the majority of them are real estate investors that are saying, “You know, I want another source. I want to diversify my portfolio. I own 100 houses, but let’s also own 100 re-performing mortgages without having to fix the toilets, you know.” It’s a very yield-hungry atmosphere out there right now. TJ:Especially in Texas, that’s a very, very big play, which, you know, without going . . . That’s a whole another show is the seller financing stuff, but that’s a fantastic opportunity for people that aren’t able to afford . . . Let’s face it. Rents aren’t cheap right now. I mean, I don’t know what they are in Texas right now. Mike:Yeah, they’re blowing up. They’re blowing up, yeah. TJ:It’s insane what you can get. As an investor, you’re like, “Great,” but as somebody looking for affordable housing, you’re like, “Holy cow.” So if you can have a house and offer owner financing to somebody, even at 10 to 12% interest rate, it’s still, you know, 50% less than what the rent would be. And for you to be able to turn that with, like, double-digit yields. TJ:Yeah. And too, if you’re speculating for the trends of investing and what investors are looking for and where the most money is, you know, in like the self-directed IRA market or 401(k) market, there’s a bunch of people that are sick and tired of investing in mutual funds and ETFs as a way to diversify. They’re sick of the volatility of that market. And they’re very yield-hungry. And so what they want is they want an investment that’s going to get them an 8% to 12% yield over time and not have to fix toilets and stuff. Rick:We actually set up a retail outlet for these online to where I’d say a majority of all of our sales are all strictly to the self-directed IRA space. They’re all looking for that yield. TJ: Yeah. And that’s where we’re at. And Paperstac is our technology piece that, you know, in order to increase liquidity on these, you have to be able to sell these on the secondary market. Well, in the mortgage note space, unfortunately, it falls into the fintech world. And if you know the technology in fintech, it’s nonexistent. It’s starting to come about now, but we added some technology to that space and to the mortgage note market that it’s a system and more of a process with Paperstac than anything. It increases that transparency and ease of use because in the past, if I wanted to go buy mortgage notes, it’s still like this. They’re going to send you over an Excel spread sheet of 50 rows and 20 columns. Rick:Yeah. And basically, we just made it to where we can take this mainstream and anybody can start looking for this. Mike:Yeah. Yeah. Yeah. That’s awesome. Hey, I want to clarify one thing just for the people that are listening that some of them may have got lost is like a performing note versus a nonperforming note. And correct me if I’m wrong. So a performing note is there are big lenders that they make enough money originating and selling off a note that’s performing, meaning that the owner of the home that purchased the property that has the note is paying. They’re making payments just fine, but that lender just wants to sell that off. Is that right? Mike:And when lenders sell those to each other, they don’t discount them as much because they’re not as risky, right? Take it from there, and then talk about nonperforming and how the more payments they’ve missed, the more risky it appears to be, the more that a lender would have to discount that to sell it to somebody else to kind of clean up that mess, if you will. Rick:Sure. Yeah. Like you said, when a lender originates a loan, a lot of times they’ll even sell it at par. There’s no discount at all on newly-originated stuff. And when they are making their payments, they are performing assets. And usually, they’re going to be a paper. Especially if you’re buying something now, there’s typically going to be some equity in the property. And the buyer or the borrower on the loan’s going to have skin in the game. When somebody stops making their payments, the value of the note starts dropping. The grade on the note will stop dropping. So maybe somebody’s 30, 60, or 90 days behind. You’re probably dropping to a B paper or a C paper. Once you go past 90-plus days and they stop making payments, the value on that asset drops and you start buying those loans at maybe say $0.50 on the dollar, $0.45 on the dollar, depending on the price band. If it’s a really cheap asset, maybe something worth $50,000, you may be somewhere down in the $0.30 for the dollar. So the lower the price band and the further behind they are, the bigger the discount you’re going to get, whereas if it’s a performing or it’s a re-performing loan, you can get $0.80, $0.90 on the dollar of the principal balance. Mike:And so talk about that. So that’s really your play, I think, is to take one of these notes that are nonperforming and get it to be performing again, right? You call the person. You try to work out a new plan of like, “Why are you not paying? How can we get you paying again? You’re either going to get foreclosed on, but we want to keep you in the house. So let’s get the loan performing again.” So talk about that. And then ultimately, when you get it performing again, it’s worth much more. And then you can sell it off to another investor, right? Rick:Right. Yeah. If you can buy something at $0.30 on the dollar and, you know, restart their loan, maybe set it back up for 30 years, and they start making, you know, 12, 15 payments, all that’s interest. And then they’ve got a track record of making payments. Well then you can now sell that loan at maybe $0.70, $0.75, $0.80 on the principle balance. And there is your spread plus all the payments you just collected. TJ:You know, we started buying like nonperforming notes with the idea of we don’t want an owner in there. We just want the inventory. We just want the house back. And we realized that the amount of cash burn that goes into one of those nonperforming notes is diabolical. It’s unbelievable. You have to mow the lawn. If it’s in an area where the house freezes, you’ve got to winterize it. If there are windows broken, you have to board it up or else you’re getting . . . And the taxes too are accruing, that you’re talking about every single . . . If it’s a judicial . . .
Rick:If it’s a judicial state, you’ve got to pay for foreclosure fees. TJ:And so when we realized the amount of cash burn that we were going through . . . And then you’re servicing these too. You know, we’re paying a third-party servicer to stay in compliance. And, you know, the regulations in this market are huge. You don’t want to deal with that. So you give them to a third-party servicer to service. That’s costing you $100, $85 every single month that you’re holding this thing. And then you’ve got to try to trust somebody to rehab the home. Everybody else knows that if you’re not there every day on a rehab home, those guys aren’t coming to work a lot of the times. And you’re like, “What is going on?” So then we started to realize, wow, the re-performing loan was a less cash burn. Rick:Oh, you can get cash start coming in immediately. TJ:So, you know, that’s kind of where that opportunity of people are looking at, you know, but a lot of the times, for investors it’s a fantastic way to get . . . You know, there’s so much . . .
Mike:In the actual property investing stuff, I talk a lot about whole-tailing. I’ve primarily been a retailer. Like I rehab, right? So your business is really not that different. And I want people that are listening to make that connection. You’re buying at a wholesale price. And effectively, you’re doing what we would refer to as a whole-tail. Like you’re not fully rehabbing it, but you’re adding a little bit of value to fix it up and get it good enough for the next person. I mean, that’s probably a decent analogy, right? Rick:Yeah. I love that. I just saw that today. I was checking out your site. And I saw that whole-tailing thing. And I was like, “Did [inaudible 00:24:30]?” And then, “no,” but I love that analogy. It’s really good. TJ:I mean, yeah, and, I mean, that’s why we liked that the pivot wasn’t too far, right? We would buy houses that needed work, right, add some value to them, not completely rehab them, and then sell them again, right? And so now, we’re buying notes that need work. So we add some value by recreating some of the collateral documents and stuff like that because that’s generally what you’re doing is you’re having to do more paperwork and stuff and getting all that stuff done up. And then we’re adding value that way and selling them again on the secondary market. So it’s a really good pivot for investors that are in the real estate market. Rick:Yeah. There’s also stuff out there . . . There are government funds out there that will help get these borrowers caught up. And if you can tap into those, they really will pad your bottom line. You know, we’ve got checks, $18,000, $20,000 on stuff we paid $13,000 for. TJ:Well, it’s almost like buying a rehabbed, like a really bad home that’s just been through the wringer for let’s say $25,000 and then the government coming in and subsidizing you, like giving you $20,000 for that because you took on this issue and helped it to come to resolve. And that’s recapping you. So now you’re into this thing for $5,000. And you’re like, “Whoa. Okay. Now we’re talking. Interesting.” So there are a lot of programs out there. And that kind of works into how many different exit strategies, which is interesting. Mike:Yeah. Talk about that a little bit because obviously, on the house side, you really have just a couple of exit strategies, right? I mean, you can fix it up. You can kind of whole-tail it. You could wholesale it, just as it is. My guess is when you guys buy them at a wholesale price, unless you add some value, it’s very difficult for you to resell that and make money just as it is, generally, probably, but anyway, you could wholesale it on. You could whole-tail it, like you fix it up a little bit and sell it to the next investor, or you could totally rehab it and sell it to an end user or you could keep it as a rental, but there are very few kind of levers on the property side. But with notes, it’s like almost anything you could imagine, you could do, right? So talk about that a little bit, just kind of how that differs and why that was more appealing than on the property side. Rick:Well, for us, it was more appealing whenever we got into a loan that we knew that we had the option of . . . We had waterfall stuff we at least we tried to do. First of all, we want to try to keep people in their house and get them paying again. I love cash income streams coming in. And so that was option one, but we also knew then if we couldn’t save the house and we had to get the house back, there were multiple ways that we were going to be able to get the house back, via a deed in lieu of foreclosure, a short sale. If they want to short sale the property, we’re able to, you know, help them with that, or, you know, if we have to, worst case would be a foreclosure. But then once you have the property back, you’re able to do business as usual. Especially for the guys that are already in real estate, we knew that it was all right, it’s business as usual. When we got that property back, let’s either wholesale it out, whole-tail it out, fix it up and retail it. It’s still I think amazing to me that today, we were just working on a deal that we’re probably going to have to wind up offering a deed in lieu of foreclosure to get back, but we’re going to be into it for $0.48 on the dollar on a house that’s worth $140,000. I don’t know where you can go get margins like that right now in the investment space. TJ:Well, yeah. What was very exciting is when we realize that what you’re doing is you’re creating an income stream, and with that income stream, you can sell off a portion of that income stream too, which is another exit strategy. You have 360 payments. Let’s just say you redid this loan. And you collect six. So now there’s 354 payments left, right? If somebody wants to buy 140 of those payments, you can sell them 140 of those payments, okay? And then what happens is those revert back to you at the end. So people that are into numbers can start to figure out if I could sell 140 or 150 of those payments for what I’m into the loan for, they call it partials, then when that thing comes back to me, there’s still debt owed to me. Now I’m in it for nothing, right, because that [inaudible 00:28:38]. And it’s income that if I’m holding in a self-directed IRA or a 401(k) account, a lot of the times, there are few good tax benefits. Mike:That’s a great point, yeah. TJ:So there are just so many people that are into the finance world can understand that you’re creating an income stream that you have the ability to sell off portions of it, if you wanted to, keep the whole thing. So just the multiple different ways to be creative was very, very tantalizing. Mike:Yeah. Yeah, that’s awesome. That’s awesome. And so let’s talk a little bit about the spreads. I mean, it sounds like you’re generally making more on deals than maybe you were when you were on the property side. Rick:Typically, if we go to . . . If we have to take a property back, yeah. There’s usually more margin there. And I would say I equate it to we’re buying it what I was buying houses for in 2012, that’s what we’re able to acquire properties for. So if you could turn back the clock and buy houses like 2012 prices, that’s essentially what it is, but also then our margins are pretty high on the re-performing side because you’re able to collect all those payments. TJ:It’s a different side too. It’s a yield. It’s your income over time. And it’s like more of a longer play, but that’s . . . If you ever let’s say amortized out your . . . If you see how much you’re going to actually pay, if you run out your 30-year mortgage, and [inaudible 00:30:03], you see how much the bank makes. And so if you go, “Can I step into that role?” and maybe . . . Because if you’re holding the paper and let’s say we get a huge spike in increase in the market and the property prices go up like crazy in five years and you’re holding a lot of paper, those people are going to probably refi. And you’re the one they’re refi-ing with. So it’s very interesting on how the spreads work that way, but it’s definitely . . . What we’ve averaged over our five, six years have been comparable to what, you know, flipping the real estate was, if not better. Rick:Yeah. We’ve been very, very, very high double digits all the time pretty much since we started. So we’ve been fortunate. Mike:That’s great. That’s great. And you’re running a model now that probably is much more efficient from the standpoint of running all over town and doing . . . You know, like the property stuff is very physical. It tends to be, right? Like you’ve got to go look at it. You’ve got to go do something with it. If something just happened, you’ve got to go check it out, but with notes, I mean, you’re able to scale that up and invest pretty much anywhere because most of what you’re doing is virtual, right? Rick:Yeah. Most of what we’re doing is virtual. And we’re leveraging, you know, DPOs. We’re leveraging real estate agents that are, you know, local boots on the ground in the areas that we’re investing and able to let them be our eyes and ears. And then obviously on the paper side, you know, we have a whole bunch of third parties that we use to really leverage stuff so we can sit at our desk and run it, you know, from headquarters here. Mike:Yeah, from HQ, the ivory tower. TJ:It can be, but it still is anybody that’s in the real estate game knows, we still are in charge. We have a girl that does it, Miriam, who’s a very valued member of our team. She’s, you know, running a lot of the day-to-day stuff with the assets. You know, I think we have about 125 right now all over the country. And that’s, obviously, we’ve come to this point to prove our concept over the five years before we start scaling bigtime now, but the infrastructure that’s in place to be able to manage that, you’re dealing still with the same stuff. That handyman that you’ve got to get there, they don’t show up. They over-quote you because when you say, “Hey, we’re the bank, essentially, but we’re not a big bank, but we are the controlling entity here,” what were they doing back in ’08 through ’12, these companies that are like, “Yeah, I’ll cut the lawn, Bank of America. It’s $375 a cut.” That just gets pushed through. And so we have to remind the guy, “That’s not us.” We’re actually seeing all the accounts and like going, “What is this, $375 to cut the lawn,” which happens all the time. No, this isn’t flying. So there’s still that piece that you have to police. And you have to overlook that. So more or less, we’re kind of overlooking everything. We are third-partying out a lot of stuff because that’s the leverage. To scale, we have to, but we still have to police the servicer that’s servicing our notes. We still have to make sure that their interests are our best interests. Rick:Well, they’re aligned with us. TJ:And that’s kind of like right now what our biggest battles are. It’s not so much buying . . . We know what we can do to buy the assets and stuff like that. Now it’s more or less looking at the system that we’ve created is now becoming okay, how do we do it scale and still be effective. Rick:How can we constantly refine it, get the processes in place to move forward and, you know, run a successful business. TJ:It’s a double-edged sword because you want to really slay it and do good for your investors and turn them great yields, but then you’ve got that socially responsible side that you’re like, “Okay. We can turn a 12% yield and save this person’s home or we can turn a 40% yield and take it back.” That’s up to you. As an investor, that’s what you want to do. You know, there is no right way to do it, but it’s very tough. I mean, that’s some of the difficulties is that. Mike:I know you guys really enjoy . . . I mean, you like the side of the business that you help people stay in your house. My guess is that when you first started investing and moving in the notes, I don’t know this for sure about you, but my first thought would be like, “It’s another way for me to get houses,” right? Mike:But over time, you realized, “Hey, man, we could make a lot of money by helping people stay in their house. We just have to restructure.” So talk a little bit about that part of it because, you know, it’s one of those things that I know you guys care a lot about, right, but I think most people assume that banks and lenders and people that are, you know, in the position you’re in are bad people. And they just care about the house and don’t care about the people, but I know that’s not the case with you guys. Just talk a little bit about how you realized that and then the importance of that in this part of the business. And I remember the first time that we actually said, “Okay. Let’s work with these people. And they were literally crying on the phone with us because we were treating them like people.” We were like, “All right. Well, how about we’ll just short sell you the house? And we’ll sell you the house for . . .” I think they owed like $60,000. And we were into it for $20,000. And we said, “We’ll give you the house for $35,000.” And they were able to come up with the money. And they were so happy. TJ:Yeah, and not just by the investors. You know, are making an investment decision that’s going to positively affect our current generation that we’re in and then generations to come? So, you know, we’re trying to influence the stakeholders that are in our space with a little bit of a platform that we have to start to make investment decisions, you know, underpinned by those social and ethical values. If you have a chance to align money with meaning and still . . . You know, obviously, we’re all in it to make money. I mean, I have a new baby on the way. He’s got three kids, Rick does. And we all have families. We understand we have to make money. However, you don’t have to be so quick to pull the trigger and what we’ve seen is a lot of these people have been unfairly foreclosed on. And it really makes me upset and mad that that is because they don’t have the means and they don’t have the voice to come to the table and actually fight for their right, they actually get their houses stripped from them. When you actually label somebody like that, you dehumanize them, as they’re a non-performing loan. And let’s face it, if they’re a big shop and they’re running a portfolio of 100,000 loans and you’re in charge of 1,000 of them, here’s your stack on your desk. You’re going one after the other. You’re phone calling. Boom, boom, boom, boom, boom. You’re looking at a non-performing loan. You’re not looking at John and Sally Smith with three kids that are very struggling and they just had a major hardship in their life. So yeah, that like holistic approach of being able to reach out is why we’re really trying to promote to the smaller investors that these smaller loans can be given to . . . We can democratize this and give them to those smaller investors through Paperstac and all these different types of, you know, mortgage note trading platforms out there to be able to do the right thing because let’s face it, a re-performing loan, even if you don’t care about the socially responsible side, sells for more. So if you keep that person in, by default, you’re going to get more money for it than saying, “Give me the house back.” And so yeah, it’s a major passion of ours now. And it really underpins the values of what we’re really striving to do with our next fund. Mike:That’s awesome. And my guess is the people that you’re dealing with have . . . When the mortgage was owned by a larger bank, like you said, they just kind of were forgotten about. Like they just thought they were a number ultimately. And some people probably just say, “I don’t know what we’re going to do, but just stop making the payments. And we’ll just deal with it,” right, but then when they start to talk to somebody on the other end of the phone that they know is a human being and, you know, cares about them, as well, I mean, like you said, it is a business and you have to treat it that way, but there’s a way to do it where you kind of give them some more respect. My guess is that they’re much more likely to want to work it through with you than they would be some call center rep halfway around the world, right? TJ:Yeah. You know, look. I’m not defending everybody out there. There are bad actors. And there are people that are going to use the system, but what we’ve seen let’s just say on a scale, 80 to 85, 90% of the people that we’ve talked to, you know, they’re not lacking character. They’re just lacking money. I mean, that’s what it is. It’s like they just weren’t given the opportunity because they didn’t fit into those profit margins for those bigger institutions, which I’m not blaming the bigger institutions either. Rick:You know, a lot of them lost their job in 2008, ’09, ’10. And once you fall 12 months behind on your payments or eight months behind, it’s really hard to get caught up. And the banks just never gave them a very good deal. TJ:Some of the loan modifications that we’ve seen that these people come up with, it’s absolutely ridiculous. So, you know, just a quick scenario. Mike:Yeah, I’ve heard some stories. I mean, the majority of our country are like, “If something happens and I don’t have equity to pull, unfortunately, you know what? We’re screwed.” I mean, that’s just how it is. And so what we try to do is give these people back the American dream the best way we can, you know, principal reduce them down to where they actually, because then it’s going to pay again, you know. It just makes sense. Mike:Yeah. And you can afford to too. By the time it’s gotten down to you guys and you’re paying a very small percentage of the total value, you can afford to pass some of that back to them to get it performing again, right? When the banks are like looking at it like, you know, when it’s more the top of the funnel, when it hasn’t been heavily discounted yet, there’s just no room to do that, right? TJ:It’s just numbers with them. Their systems are not put in place to say, “It’s John and Sally Smith.” And that’s not their job. And I don’t expect them to do that. They’re dealing with hundreds and hundreds of thousands of loans. So it’s just they’re products of the systems that are antiquated that are in place. TJ:But they’re there. And it’s created this niche and gave us the opportunity and a lot of other people the opportunity to, one, make a really good business out of something and two, help people out, if you want to. If you don’t, hey, [inaudible 00:41:22]. Mike:Cool, guys. Maybe take a minute and for folks that are listening that say, “Wow. This sounds interesting. I could be the bank. I, you know, might be able to find some deals that I can’t find right now. Like it might be a different vehicle, but I want to learn more about this,” where would people kind of get started? How can they learn more? Rick:Well, we’re going to give all your listeners a Note Force Academy, which is our training program, we’re just going to give it to them and let them train on there. It’s noteforceacademy.com/flipnerd so we know where they’re coming from. And we will definitely be happy to do that, but education. You need to educate yourself. That’s the first thing because while there are a lot of parallels between real estate, there is a lot of stuff to learn so you can navigate one of these deals successfully. And then you want to look for inventory. And we have inventory available on Paperstac.com that you can go search and look at inventory. Mike:Tell us real fast what Paperstac is. You mentioned it a few times, but maybe just tell us, kind of summarize what it is. Rick:Sure. Let me spell it first because there’s no K at the end. It’s P-A-P-E-R-S-T-A-C dot com. It’s a note-trading platform. It’s a marketplace for people to go buy and sell notes. And if you’re interested in seeing what like a mortgage note asset for sale would look like, it’s a great place to go. And you can just check it out and cruise through and take a look at the notes that we have for sale, but when we started after we’d been buying notes for a while in the business, we did a couple purchases that were pretty scary and in that we were putting money out into escrow with somebody that we really didn’t know. And we were like, “This has got to change. It’s a great investment, but it needs to be brought to the mainstream.” And so we set out to try to bring some transparency to the process. Rick:And Paperstac was created for that. And we’ve been in development on it for three years. It launched in September and has been very well received by not only new investors in the area, but people that have been in the note space for 30 years. TJ:Yeah, I mean, Paperstac’s more of a system, more of a process, that we’re like, “You know, you have to do A to get to B, B to get to C, C to get to D.” And if you’re an investor, you don’t want to have to relearn an entire, because there are a lot of steps, a lot of I’s to dot and a lot of T’s to cross. Why don’t we just make it simple for everybody saying that it’s like a linear progression where everything’s done on a timeline? Trading notes on a timeline is kind of what we say there. Look, buy the note. Even if you’re an inexperienced person and you buy it through like a Paperstac technology, you can go, “This is what I need to do next.” Then it’s going to tell you, “This is what you have to do next. Did you get FPI insurance, first-place insurance, on it?” And you kind of run through the process of what it is, but yeah, it’s fantastic. Paperstac, P-A-P-E-R-S-T-A-C dot com. And then our main company is Cloud Capital Management. That’s the grand pupa. That’s the big development. That’s wherep we’re running, what we’re going to be, you know, starting our capital raised on a regulation A plus fund to scale our efforts. So in ’18, we’ll be starting that. And we’re very excited about that. So we’d love to tell you the progress on that as we go through that because that’s a whole another show. That Reg A Plus space is really exciting. The Jobs Act has done a lot for us small investors [inaudible 00:44:43]. Mike:Yeah, absolutely. Absolutely. Awesome. Well, we’re going to add links for all that stuff down below here, Note Force Academy, Paperstac, and Cloud Capital Management. So if anyone that’s listening wants to learn more or if you’re listening on iTunes, just go to flipnerd.com/shows. And you’ll find the extra interview show. And just search out this show, number 378. And we’ll have all these links down below, if you’re going down the highway listening to this right now. So don’t try to [inaudible 00:45:10]. Rick:No, don’t turn it down. Mike:Yeah. Yeah. Awesome, guys. Well, hey, this has been great information. For those that are listening, hopefully, you see a new opportunity here to jump into a different type of investment that’s not all that different, right? Rick:No, it’s not all that different, but it’s a lot of opportunity. So I hope it shines a light on it for some people. Mike:Yeah, awesome. Well, guys, thanks for spending some time with us today. Rick:Thank you, Mike. We appreciate it. TJ:Thanks, Mike. Awesome show, man. Mike:Yeah. Yeah. Thanks, guys. I couldn’t do it without guys like you. So hey, everybody, this is episode number 378. We’re talking all about notes today. So we appreciate you spending some time with us today. If you haven’t yet, please go out to iTunes, Stitcher Radio to Google Play, anywhere where you listen to a show or even watch it on YouTube and subscribe and give us a positive rating. We’d appreciate that. That’s what kind of gives me energy to keep doing this after 378 shows. So we’re going to keep cranking as long as you guys keep giving us some love. We appreciate you. And we’ll see you on another upcoming episode. Take care. Thanks for joining us for this episode of the FlipNerd.com investing show. If you’re not yet an elite member of FlipNerd, you’re missing out. We have tons of great training, including a new detailed master class published each month and live training webinars with experts twice a month, plus you’ll get access to all of our archives where we already have a growing library of master classes and other training videos. Elite members also get membership in our incredible online mastermind group where many of the top real estate investors from across the country, including many of the hundreds of guests I’ve had on the show in the past, are already members. Whether you’re brand new, looking to get started, or a veteran, you simply must join today. I promise you won’t be disappointed. To learn more or join today, please visit flipnerd.com/lab. That’s flipnerd.com/lab. See you on the next show.